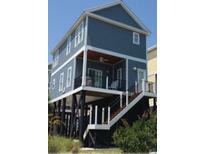 Find Garden City Beach, SC Homes for sale. View Photos, Maps and MLS Data Now! Enjoy connecting with friends and family and getting back to basic while you recharge in this super cute house. MLS#1908802. Call me or your Relator to set up an appointment today! MLS#1908444. 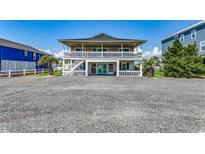 Summer House - Great opportunity to own a beach house and investing in a little "sweat equity" steps to the beach, the pier and all the sights and fun of Garden City Beach! MLS#1908435. Contact the listing agent, or your Realtor, for the list of Special Features, additional information or to set up a private showing. MLS#1908345. Don't miss out on this fabulous piece of paradise. MLS#1908253. Start making plans to enjoy the summer of 2019 in your mashfront cottage. Call to see it today! MLS#1908255. Gulf Stream Estates - If you love what you see, schedule your private tour of this great home. MLS#1907644. Myrtle Dunes - Feature list, survey, insurance declaration pages and sellers’ disclosure are available upon request. MLS#1907648. Retreat At Garden City - All measurements are approximate and not guaranteed. Buyer is responsible for verification. MLS#1907489. Check out our state of the art 4-D Virtual Tour. MLS#1907406. And the name of this property, appropriately called, "The Laughing Place". MLS#1906777. Jump on your boat and enjoy a day of fishing or cruise over to the Murrells Inlet Marshwalk for dinner! You can have it all! MLS#1906774. Myrtle Dunes - Very Close To All The Beach Ammenities, Golf, Entertainment, Fine Dining And All The Things That Make Beach Life Exciting. MLS#1906578. Whether a primary residence, an investment or your vacation get-a-way, Don't Miss! MLS#1906184. 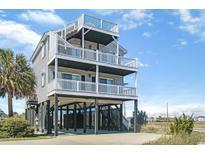 This where you take full advantage of the "art of ocean watching" MLS#1905903. ((Be sure to check out the 3D home walk through & floor plan provided by clicking the virtual tour link)) MLS#1905749. Contact the listing agent, or your Realtor, for more details or to set up a private showing. MLS#1905573. Excellent rental history with a strong loyal repeat guest list. MLS#1905578. 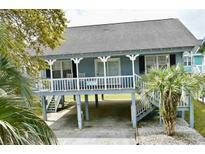 This is a great ole beach house ready for your family memories. MLS#1905604. This home has been gingerly used and deeply loved but is in need of its new owner...have a look Today! ! MLS#1905520. Enjoy a walking tour of the property to see it in detail! MLS#1905393. Call the listing agent now to inquire about updates and progress on all of these exciting new improvements as once this home is complete, you'll finally be able to experience pure joy at "Joy in Carolina!" MLS#1905354. This semi-detached unit is an HPR. MLS#1905189. Be sure to check out the walking video tour of the property on YouTube. MLS#1904864. This home will not last long, schedule a showing today! MLS#1904737.